Assistive technology equipment is available in both the J.D. Williams and Science libraries. In the Williams Library, stations are available on the first floor near the main circulation desk and in the Baxter Room on the second floor. The first floor station has an adjustable table that can be electronically raised and lowered. The Science Library also has an adjustable table. 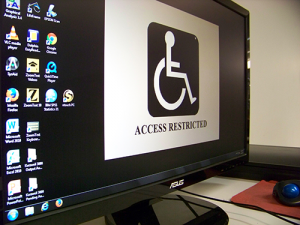 The libraries’ accessibility stations are equipped with scanners and trackballs. Please bring a pair of headphones or ear-buds if you would like to use any of the text-to-speech features. Additionally, if you are a Dragon user, you might want to bring a flash drive to import and/or export your profile.